The Acer Iconia W510 Tablet review went out a few weeks ago and since then I’ve had a driver-set update that is worth mentioning. I can also add that I’m still using the W510. It’s really finding a place in my life. Acer W510 Driver Set V2.04 (08 Jan) is available here and I advise everyone with the W510 to update. The main feature here is that there’s a huge improvement in stability and it appears that the audio problem is fixed. The touchpad response, for me, is still a problem and likely to be a hardware issue as it’s still locking into a vertical plane occasionally. As for general usage I’m finding the tablet getting a lot of use at home and it’s replacing my (old) 7 inch tablet for a lot of activities. I’m trusting financial transactions to the browser too which is something I rarely do in Android. I’ve found a good set of apps too. Very importantly though i’m still not using the Acer W510 for any sort of document creation and have decided I won’t risk doing any sort of mobile productivity with the device. 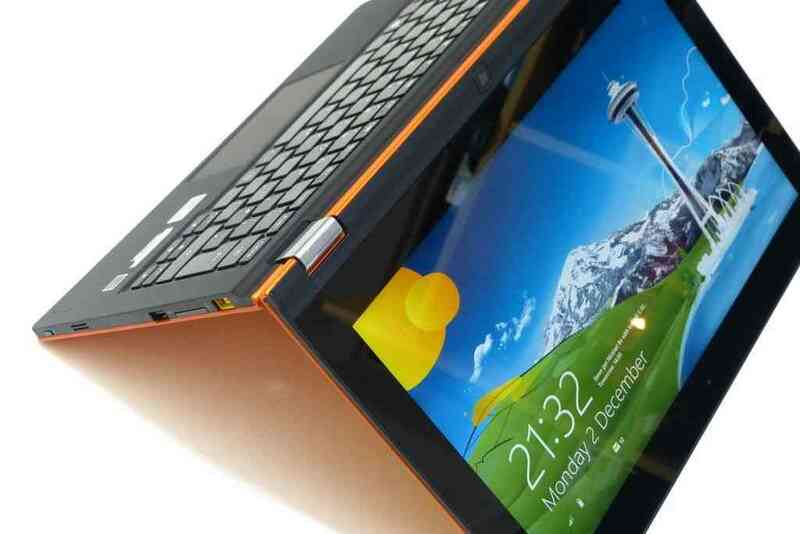 I’ve looked at a 11.6 inch Lenovo Lynx but based on the poor keyboard, that’s going back. 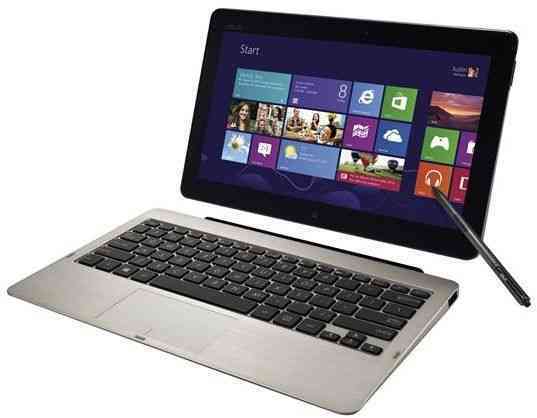 I’m struggling to find a Clovertrail tablet with a really good keyboard and a built-in battery although I haven’t done extended testing with the HP Envy X2 yet. Anyone? 599 Euro was a great price for the Acer W510 with docking station, despite the cramped keyboard. I’m not sure how long I’ll keep it as I’m looking to test a few other Clovertrail and Core devices soon but for the time being, I’m happy with the stability, value-for-money and completely spoiled with the battery life. I tested the ASUS Taichi 21 recently and the 3.5hrs of battery life on that (in exactly the same total weight) is shockingly bad in comparison. Any W510 owners out there care to put a few comments below? How’s the experience for you? The Acer Iconia Tab has been here for over a month now. Bought as a Clovertrail test device it has turned into a surprisingly usable and flexible ultra-mobile PC. 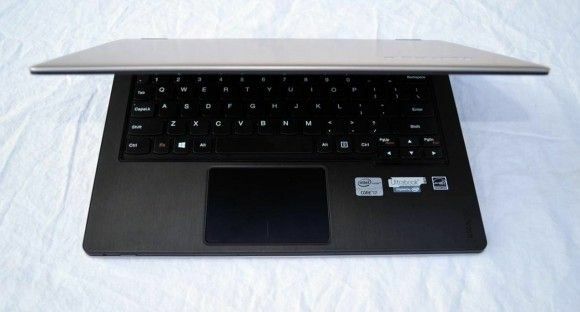 The Acer W510 might be using the same Atom core as netbooks did but the package here is far more than that both in terms of computing and usage flexibility. Read on for the full review of the Acer Iconia W510 and a summary of where this ground-breaking style of smart and ultra mobile PC fits into the market. 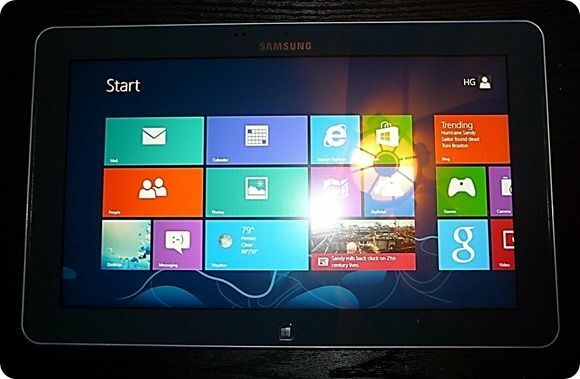 I’ve never been a big fan of tablet PCs. A ultra mobile PC with 5-7 inch screen, yes but the classic tablet pc with digitizer and 11.6 or greater screen size was too awkward for me, Too heavy to hold in one hand, with poor battery life and screen input limited to a pen with a focus on handwriting, was far from my idea of fun or productivity. 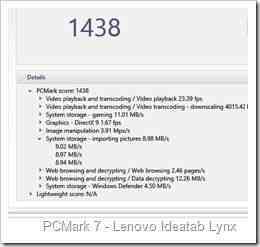 The Lenovo Ideatab Lynx, an 11.6 inch tablet PC is a completely different story however and is easily the best 11.6 inch tablet PC I’ve used, and that includes the original Samsung XE700, a well-crafted tablet PC with Core CPU and a digitizer. 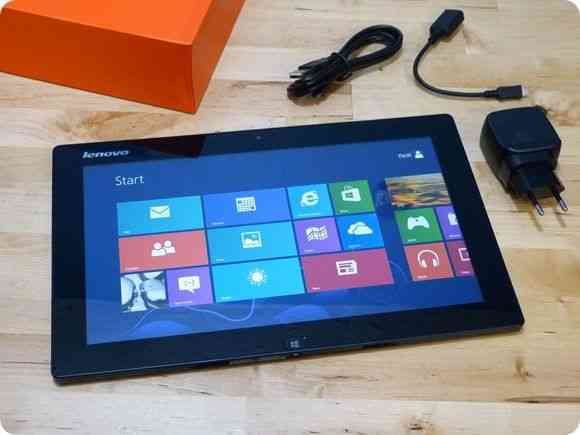 The Lenovo Ideatab runs Windows on an Intel Atom platform. Now I’m not saying that the Lenovo Ideatab Lynx is the best 11.6 inch tablet and I know there’s a huge difference between this and a pro-level Core-based tablet with Digitizer and handwriting input. I must also say that I haven’t fully tested any of the new Core-based Win 8 tablets yet but the Lynx is working well for me and I feel it hits a very nice sweet-spot in the market. Weight, size, price, features, touch, OS. 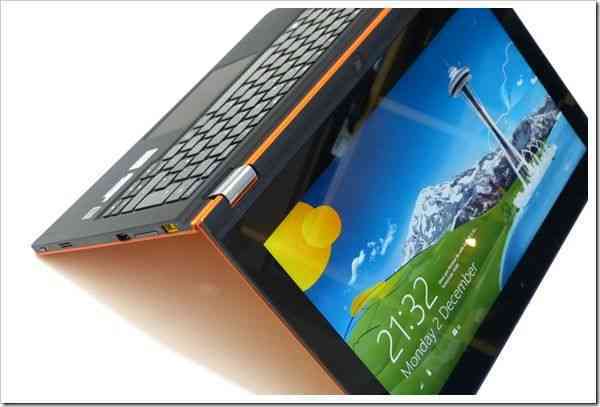 The Lynx is well-balanced and while it’s not going to be a winning consumer tablet, I bet it finds a lot of friends. The Lynx I have here is the 64GB/2GB model which is retailing in my locale for 55o Euro. I only picked it up yesterday but I’ve given it some serious testing over the last 24hrs. The 11.6 inch tablet design is very much a productivity-first design, especially when you can add a comfortable keyboard to the mix. At 635gm (1.4 pounds) it’s light enough to serve as a consumption device too though. In portrait mode it really feels like you’ve got the future of the newspaper in your hand. Seriously, if 11.6″ tablets hit 500gm I bet we’ll have another hot segment on our hands. This is the coffee-table tablet! Is Atom good enough for the job of productivity? It depends on your definition of productivity but it’s fair to say that it’s not going to be good enough for most people as a daily drive for office-type activites. For me, however, there’s an exciting mix of capability here. As a blogger that writes, and writes, and edits sub-2MB images with the occasional YouTube video edit in 720p, this could really work for me, especially given the battery life and always-on capability. 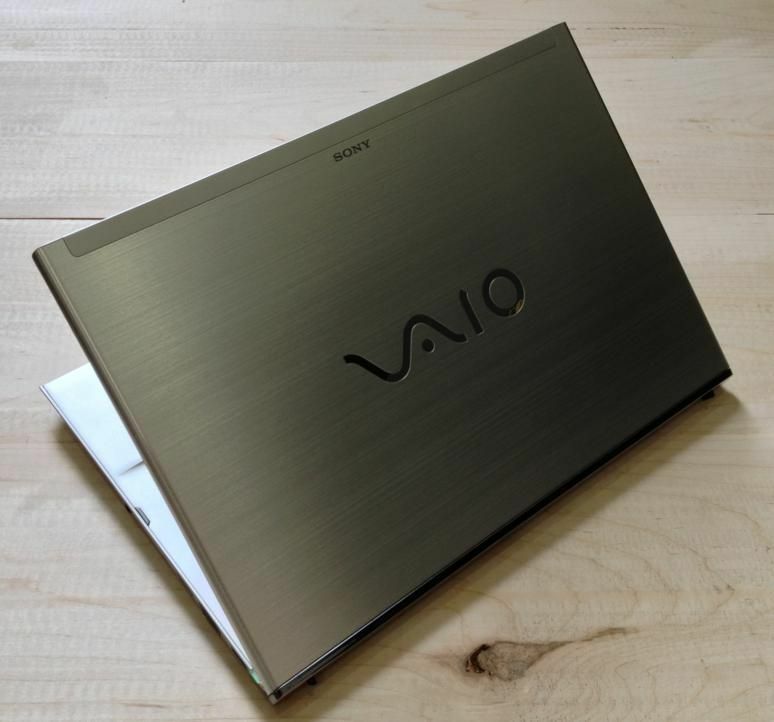 I’d add HSPDA for my ideal mobile blogging setup and a full-size SD card slot would be a dream but this could work out better than a 10 inch Windows 8 device. I can think of a lot more customers that would get good value out of the Lynx too, not least the long-distance traveler; Having Windows behind the entertaining Metro/Modern/Win 8 Store is perfect for that scenario. 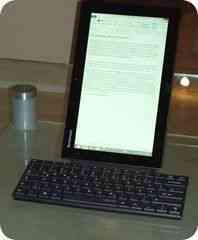 Here’s how I’m using it right now (see image) because I haven’t got the keyboard dock yet. That comes next week. Here’s a rundown of the device itself. Screen. 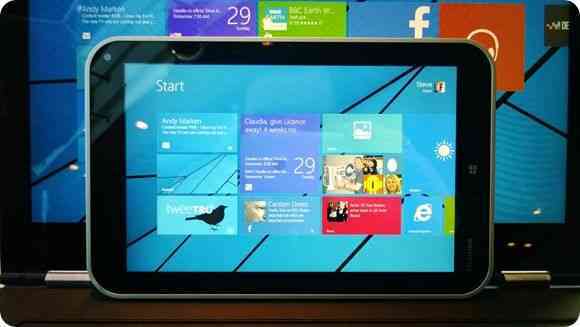 Bright, not incredibly punchy in terms of color but is IPS which is a must on a tablet. 1366×768 is OK for me but I know that many would expect more. For reading, there would be an advantage with 1600×900 of course. Build. Strong. No flex. No creaks. Plastic back feels a bit cheap. One thing I must point out is that the edges are not smoothly chamfered which could have given the use a more comfortable experience. If the Lynx was any heavier it would have been a serious negative point. Ports/features: No rear cam. Micro ports could be a pain (usb, hdmi, sd on the tablet.) Speakers are loud, not brilliant quality. Dual-array mic. There’s a micro-USB to USB converter included and you can plug in a micro-USB charger which seems strange considering it’s a host port. Check out the unboxing video, below, for a closer look at the ports. Software: Apart from a Norton package (removed immediately) and a Sugar Sync service (Acer cloud sync) it’s refreshingly free of additional software. As for performance, you shouldn’t expect much difference between Clovertrail tablets due to the high level of integration inside – due to Connected Standby requirements. (Always on.) 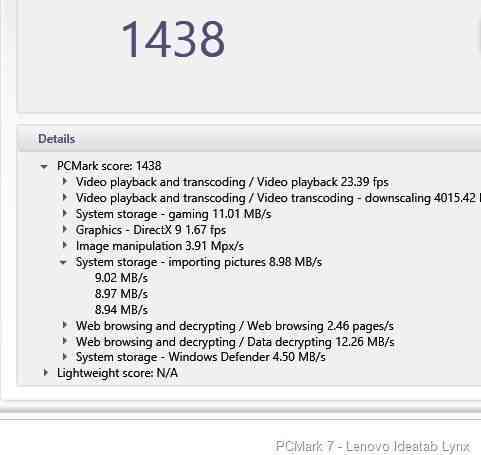 The Lenovo Ideatab Lynx does, however, beat the Acer W510 on PCMark7 purely because the eMMC write speeds are a little faster. On every other benchmark the two devices were almost exactly the same. The WiFi appears very slightly weaker on the Lynx which is a disappointment. It has the same Broadcom WiFi chipset as the Acer but I was hoping for better antenna design. In general the WiFi is relatively weak. All Clovertrail Windows 8 tablets are always-on capable but this one has a nice little trick because the micro USB port on the underside can be used to charge the device. 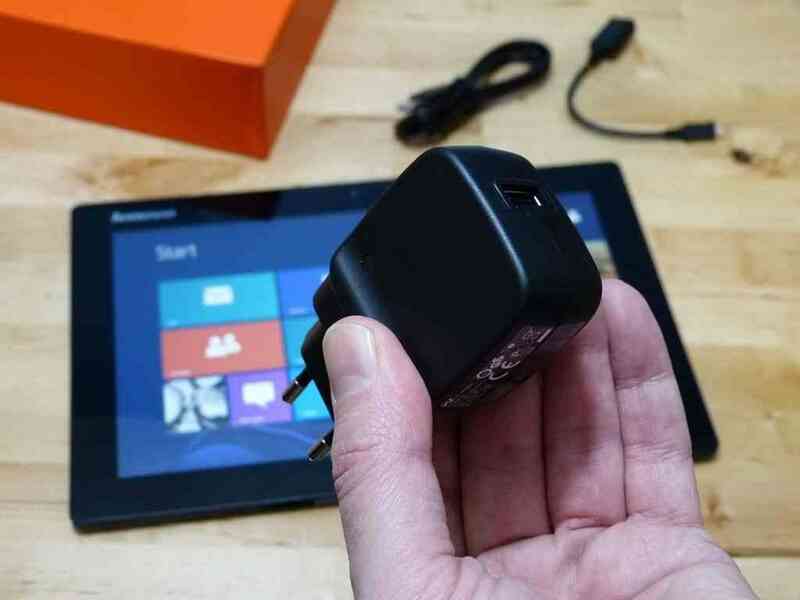 This also serves as the docking port so clearly the dock will charge the tablet whenever it is connected â€“ a battery-to-battery charging setup that wastes quite a bit of energy. I’ve just connected in a pocket USB charger which can deliver 1000mA and the device is just managing to charge at a very very slow rate. I doubt it’s pulling the full 1A available. This is the first time I’ve ever charged a PC from a smartphone power pack. 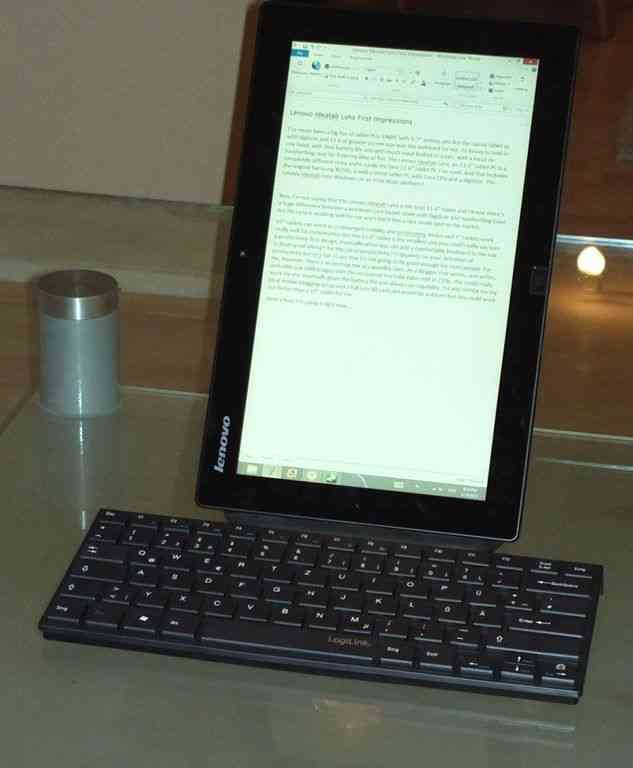 You can also see I’m using a Bluetooth keyboard. Total cost was about 55 Euro for the charger and keyboard. The Lenovo Lynx keyboard costs 155 Euro! One other advantage to this charging setup is the extremely small and light charger which delivers 5.2V up to 2000ma, similar to some tablet chargers. I love this idea of Micro-USB charging. I’m not sure you’d need this charger during a full day out though because battery life is as good as I’ve seen on the Acer W510. I’m sitting here typing with WiFi on, Bluetooth on and screen-on in about 2.5W of usage â€“ enough for about 10 hours typing from the tablet battery alone. Based on what I’ve measured on Clovertrail before, you’ll struggle to get less than 6hrs battery life from the tablet. Video playback with WiFi off should run for over 10hrs if I have my maths right. A quick word on Clovertrail performance now. It’s Atom, as we know it. It’s not a powerful compute platform but it returns a full and accurate web experience faster than most Android tablets. The graphics performance has been pumped up a little over previous generatios too; I was surprised how smooth a game of Reckless Racing was from the Windows 8 store. Audio playback and video playback hardware is included along with accelerated video encode. You’ll get about 2X the render performance that you saw on Netbooks which brings short 720p clips into scope at around 1X real-time rendering. 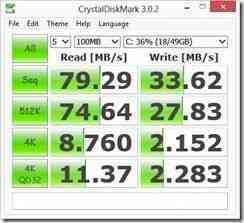 The SSD is not a SATA drive on any of the Clovertrail tablets as Clovertrail only supports eMMC which is usually soldered-on just as it is on Android tablets and the iPad speeds aren’t stellar but it’s acceptable, rugged, silent and efficient. 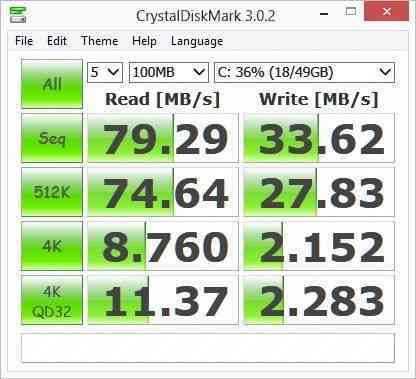 75MB max read, 33MB max write (sequential.) Oh, on noise â€“ there isn’t any. No fan here! I’ll leave it there for now and hand-over to you for questions. The keyboard dock will arrive some time next week and I’m really looking forward to that because if the keyboard is typical Lenovo style, I’m going to get on very well with it! The unboxing video and a few more pics are here. Acer W510 and CloverTrail Overview Video and First Impressions. Always-On is Killer! Written on the Acer W510. Intel CloverTrail is a truly ground-breaking PC platform and the Acer W510 appears, in my 48hrs with it, to offer great ways to enjoy the new features of the platform along with amazing value. 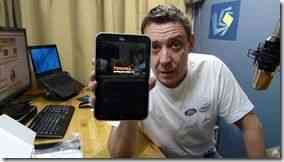 At least it does in Europe where the tablet and docking station can be had for â‚¬499 inclusive tax. I have the â‚¬599 version here which includes 64GB of storage. I’ve been extremely impressed so far. It’s light enough to use in portrait mode using thumb input, it has battery life that will last you a full 24hrs in consumption scenarios or you can get creative and plug the dock in and work, like I am now, for a good 8hrs non-stop. 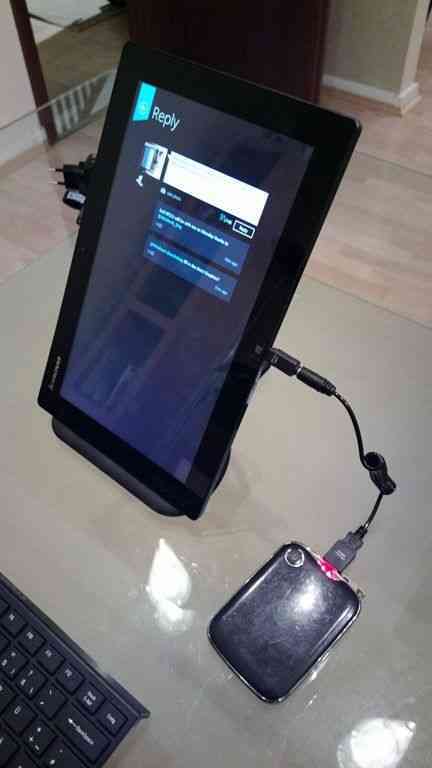 This is not an ARM-based Windows RT device, this is PC. ‘Post-PC’ needs to be re-thought because the dynamic range of this PC takes it into more scenarios than any computing product before. Hector, a UMPCPortal reader, has sent us a review of the Samsung Ativ PC 500T keyboard dock. Don’t forget to subscribe to Hectors YouTube channel here. Follow him on Twitter here and check out his blog here. Thanks Hector! The Samsung ATIV XE500T has been somewhat a bit hard to find in-stock, that goes for other Clover Trail devices that we were supposed to see released in October. 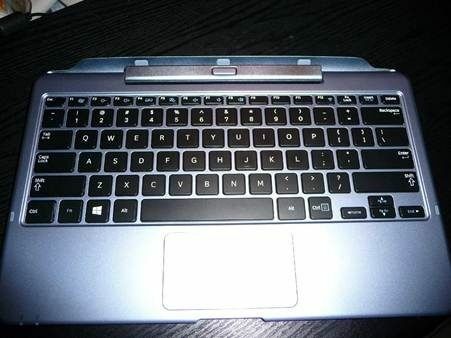 I was able to get a hold of the ATIV keyboard dock which again has been in short supply at the moment. The keyboard dock works great, but not without some cons. Read-on for the review, images and a review video. Hector, a UMPCPortal reader, has sent us a great owner review of the Samsung Ativ PC 500T along with some really useful videos. For anyone considering a Clover-Trail based tablet or ‘transformer’ convertible, this is a must-read; Especially the battery life section!